I have a love/hate relationship with stools. While I am not the best DIYer out there, it seems that every time I decide to tackle a project, it is a stool of some sort. To refresh your memory, I am 1 for 2 in this department. There was the Stool Pigeon epic failure and then the successful French Provincial project. This project seems to be successful in that the paint and wax are all in the right places and I didn't have to assemble or stencil anything! If I were a brave person, I would have tried a nice stencil on top, but why tempt fate, right??!! 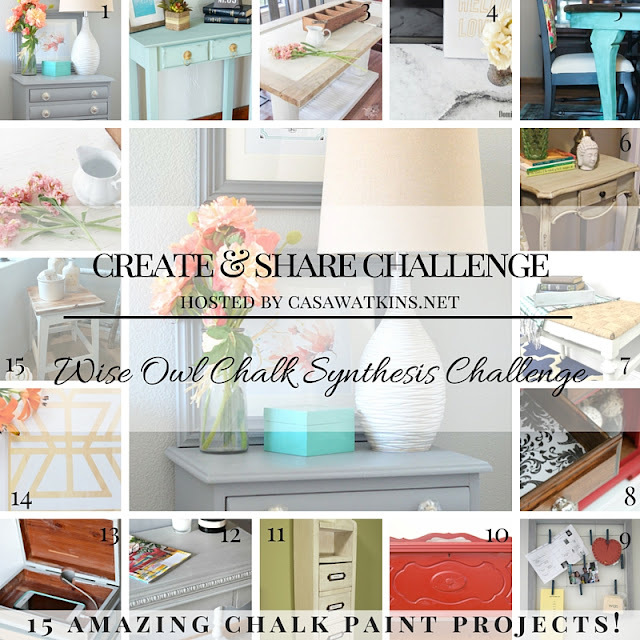 I have the privilege of being part of a great group of bloggers who participate in a monthly Create and Share challenge. 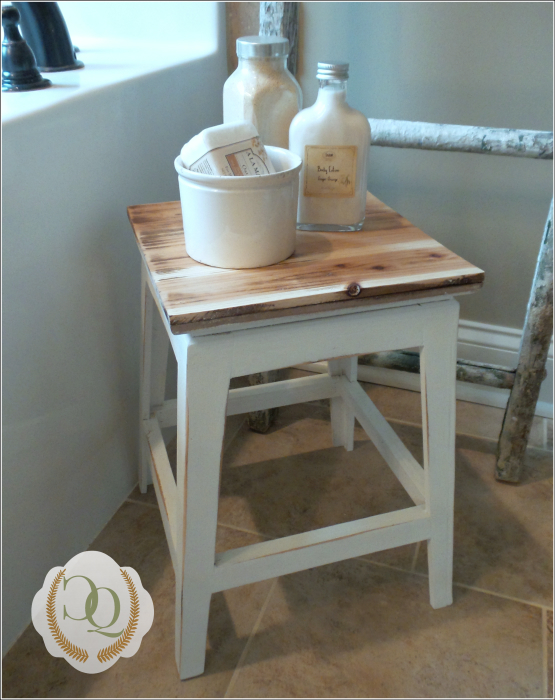 This month's project involved the use of Wise Owl Chalk Synthesis Paint and a small stool. While I received no monetary compensation for this project, I did receive the supplies to complete this project for free. I chose the Snow Owl color with clear wax. This post does contain affiliate links and all opinions about this product are my own. My project started with what I lovingly refer to as the Mad Cow Milk Stool. It looks somewhat like a renegade cow and is about the size of an old milking stool. I purchased this stool last year, deeply discounted, and sat it in the corner until I could get around to making it look more presentable. 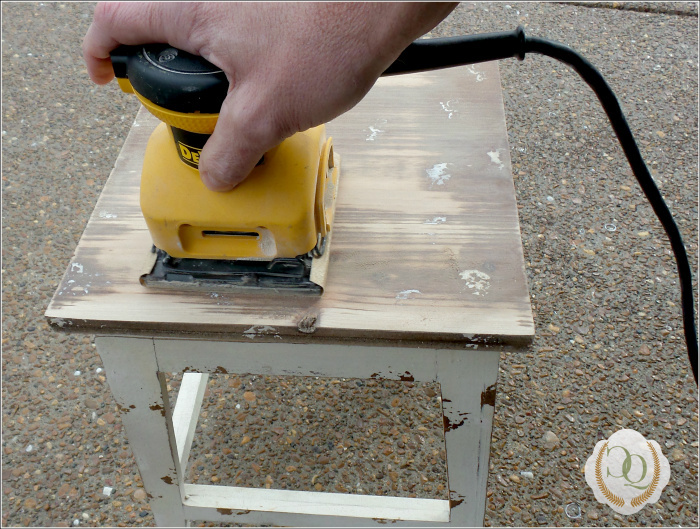 Since this stool was in desperate need of a good sanding, I kindly asked the hubster to retrieve the electric sander. We took turns ridding the stool of it's "mad cow" disease. After wiping off the sanding residue, I began applying the Wise Owl Chalk paint. I've only used a couple of brands of chalk paint, so I don't have a wide variety of comparison, but I really did like this paint. It went on smoothly and had a silky look to it. It didn't clump on my brush and while it dried quickly on the stool, it didn't dry quickly on the brush. It only took a small amount of paint to cover the areas of this stool. I let the paint dry well between the 3 coats. I wanted to make sure all traces of "mad cow" were gone. 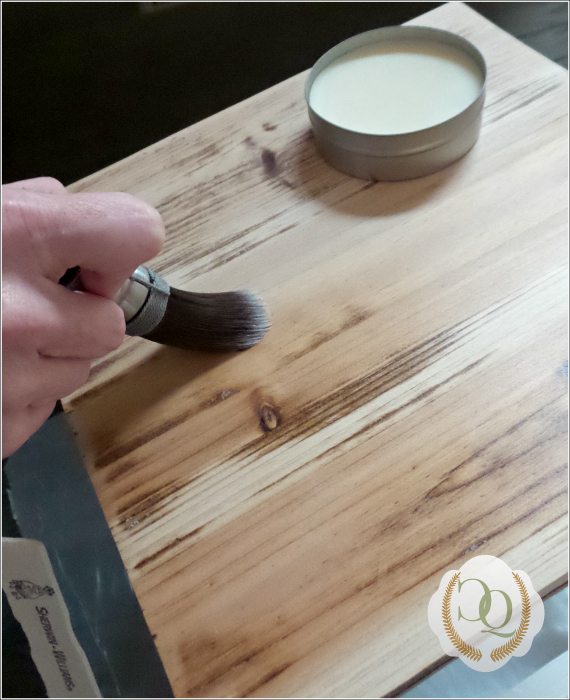 After the third coat dried, I lightly distressed the legs around the edges, wiped off the dust and applied the wax. I really loved the brush that Wise Owl provided. The bristles were so soft. The wax stayed on the brush well, and again, a small amount of wax went a long way. I do love how the wax deepened the natural wood on the top of the stool. I am so pleased with the finished look of this milk stool. 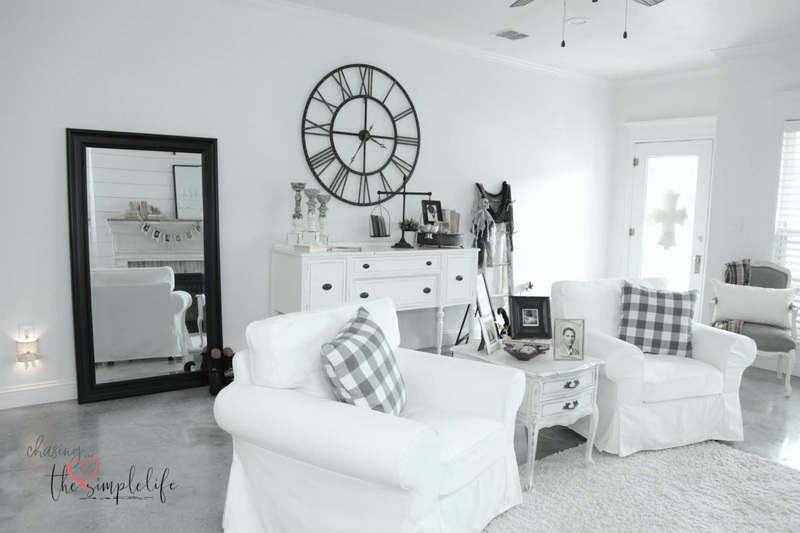 The paint is the perfect white color to blend with my decor and looks so pretty on the stool. The clear wax changed the color ever so slightly....not enough to tell the difference. 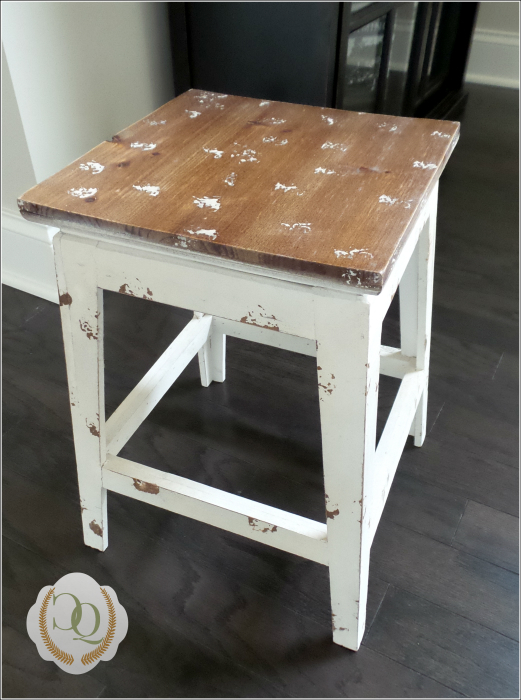 The stool now has a clean, crisp look and no longer sports the look of a mottled cow. Lucky for all of you, Wise Owl is offering one of these sets for you! Be sure to enter the giveaway when you check out these other great projects (my Rafflecopter code is malfunctioning right now)! Well this one is an epic success! I am extremely impressed girlfriend !!! It is adorable !! I like the natural wood on top , the wax did really bring out the warmth and the perfect amount of distressing on the leg's . I haven't heard of this paint before , but I like trying different brands and that brush looked heavenly. Thank you so much! I had contemplated painting the top, but decided to leave it natural. I loved this paint and wax and how easy it was to use. The brush was definitely awesome and it will last such a long time! Thank you again so much sweet friend! Love and hugs!! I agree with Brenda, this is an epic success-looks wonderful! Thank you so much Jemma! I was pleased and it was super simple...right up my alley! :-) Hugs!! Wow, you did a great job on this! I think it looks fantabulous! Thank you so much Julie! I'm glad it was an easy project...I do not do well with complicated objects...LOL! BTW, thank you so much for your sweet card...I appreciated it so much! Hugs! And the count is now 2 out of 3! Glad you were able to cure the mad-cow disease... the stool is much nicer without the spots. I have a couple of stools that need help, but they are pretty far down my to-do list. 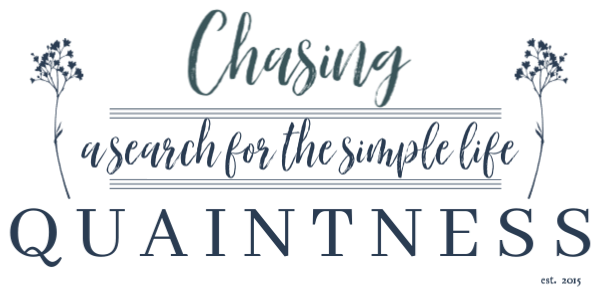 Chalk paint and wax may be the way to go when their numbers rise to the top of the to-dos. Yes, thank you! I’m glad the mad cow disease is gone also…that poor little stool looked so awful. Those spots were a bear to sand off…they did not want to leave! I do not have a lot of experience with chalk paint, but this one was awesome and I really loved the wax. 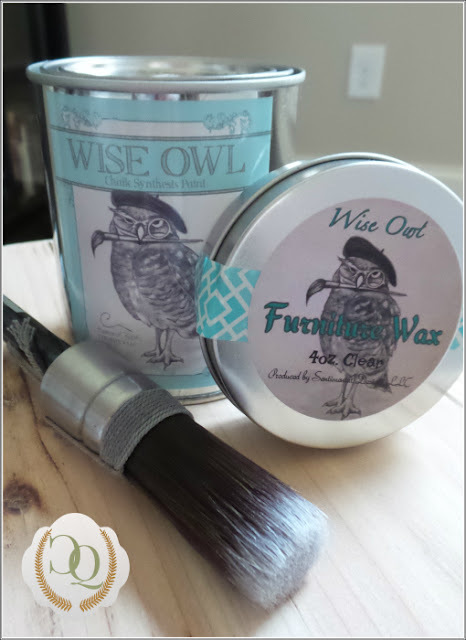 Wise Owl is offering a free set so be sure to enter…I think you would like this paint and wax! Hugs!! Your stool turned out with the perfect fresh farmhouse look. Way to go! You did a beautiful job. The stool look just perfect. Thank you so much! It definitely looks better than where it started! :-) Hugs! so much better! Couldn't quite figure out what the previous "artist" was trying to create with that paint job, but not a good look. I love how the top turned out on your re-do. The wood is so pretty with the white paint. Thank you so much! Yeah, I’m not quite sure what they were thinking….it was a bit of a mess. I was terrified I was going to make it worse…LOL After sanding, I was so tempted to just paint the bottom and not put any wax on the top because I loved the look of the wood so much. But that wax was awesome and gave the top a really clean, crisp look. Hugs! LOL...thank you! I had direction with this one....not going in blind like the others...LOL Hugs! 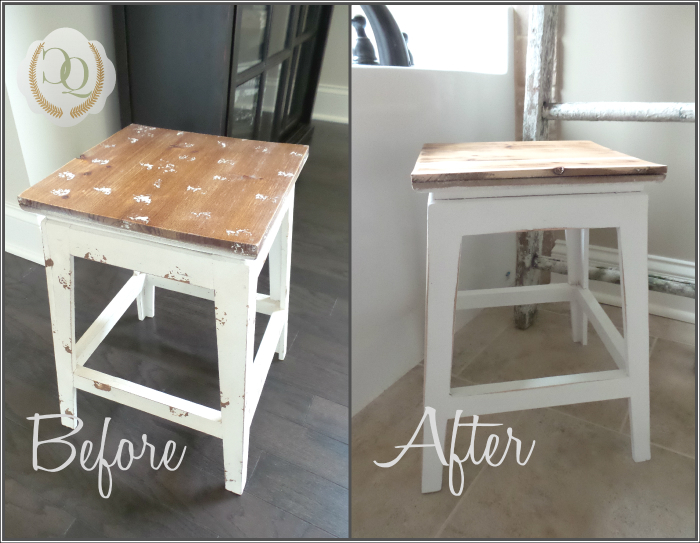 Love how your stool turned out! I will have to check out this brand of paint! Thank you so much Lisa! I do love how this paint "felt" while I was using it. So clean and easy! Hugs! Cool stool re-do, my Dear! Thank you so much Tessa! I liked the crisp color also...neat and clean. The little imperfections in the wood top were great and yes, it does give it an aged look! Love and hugs sweet friend! Oh My Gosh, I love how this turned out! I have never seen a square top stool like this before, usually they are round...but I love the square!! 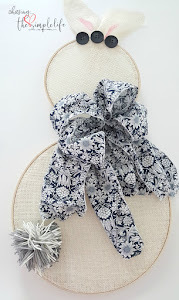 It's the perfect top for placing your bath supplies on - and that photo vignette is so pretty! I had not heard of that brand of paint before and will look up their web site now. Hi Kimberley! Thank you so much! 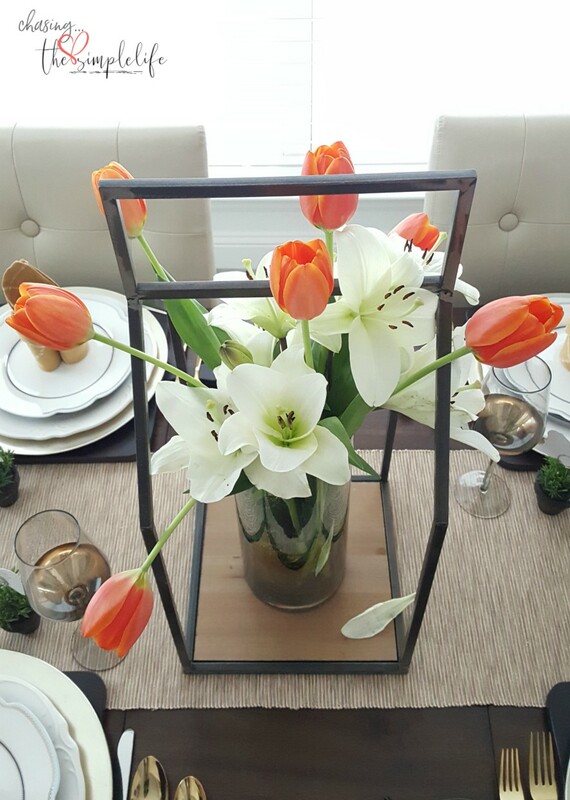 The square top is one of the reasons I bought the ugly thing…it was just a mess and it needed a redo…desperately. I’m glad it turned out as decent as it did. I’m sooooo not good at these things…give me a recipe any day…before a can of paint…LOL. I really liked this paint and enjoyed using it. The wax was just awesome!! Thank you again so much! And thank you so much for your sweet email and card…it is so appreciated! Love and hugs to you sweet friend! Happy Friday!!! your stool is a cutie for sure-you crack me up with the before name! That looks amazing, Benita - I love it! Not sure what was going on with all the cow spots before.....that one's a mystery! Thank you so much! I have no idea either, I just know it was UGLY! LOL…. Hugs! What a great little project. Love how it turned out. I bet you are loving it! Thank you so much Linda! I'm glad it was an easy project..I do not have good luck in the DIY department! And yes ma'am, I do love this little stool now! Hugs! Very sweet! I love how you left the top natural. I have a thing for stools too and have one with a natural top that needs a makeover. Thanks for the inspiration! Thank you so much! I like the natural top also...I thought it was a great contrast with the white! This paint is wonderful if you like using chalk paint...it went on so easy and that wax was wonderful to use! You are welcome and thank you again! Hugs sweet friend!! Beautiful! Now you realize you're going to HAVE to stop saying you're not crafty, right? We have proof you are :). Thank you so much! This was an easy project, thankfully! If I keep it simple, I can do it. Anything that requires “skillz”, I will have to stay away from! :-) Hugs!! What a great look. I love the white color. I haven't used any type of wax over chalk paint yet. I guess I need to jump on the wax wagon. Great job. Hugs!!! Thank you so much! This was the first time I used a wax over chalk paint. In the past, I've used a sealer. I like the wax much, much better! :-) Hugs!! Thank you so much Miss T! I like this little stool so much more....maybe I should call IKEA...I could work for them, right??!! ;-) Simple, easy and clean lines! Love and hugs to you!! 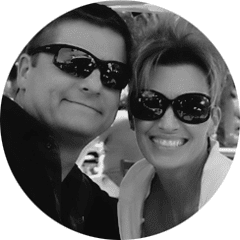 Thank you so much for joining TOHOT. We are so glad you are here. 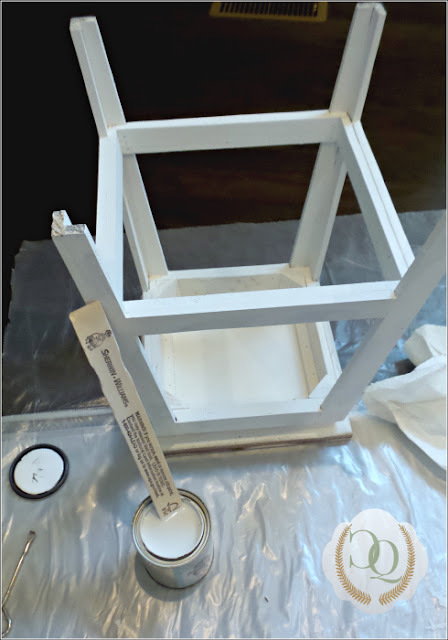 I just did an Anti Paint Blogger tutorial on my blog, so I know how you fgeel! Thank you so much Laura...I was glad I was able to finally link up. I just love Stacey and Jemma and am so looking forward to getting to know you and Laura! I'm not the best at these DIY projects, but I'm trying to learn! :-) Hugs!! Thank you so much Su! Hugs!! This looks great! I love that you left the top natural and only painted the bottom. Thank you so much Stephanie. I really do like the contrast between the natural top and white bottom! Hugs!! This stool is soo cute. It turned out great! Thank you so much Katy! I'm pleased with the outcome! :-) Hugs! Gosh lots of work that was so worth it! Adorable. Thank you so much Vera....it was definitely worth it! Hugs!! Thank you so much Tara! I like the contrast of white/wood. And this paint was wonderful! Sorry for the long delay in responding...I've been away from the blog for a few months and am trying to get caught up to get back in the swing! Hope you have a great weekend!! Thank you so much Stephanie! LOL…so true…but I pick and choose the DIY project. 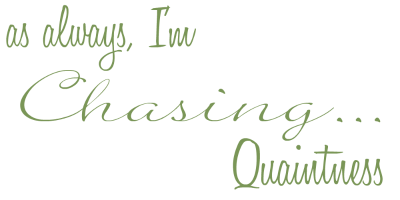 I’m finally back to the blog and recovered from the months of illness….getting back in the swing! :-) Love your new site!! :-) Thank you so much Meghan!! What a fantastic transformation! I am a bit late in visiting due to it being college finals week for me but I am so very happy you joined Thought of Home on Thursday and shared this delightful gem. What a cute stool makeover Benita! I really love the natural wood top! Thank you for sharing! I'm pinning your project! Thank you so much Cat. I enjoyed this little project and love this paint! Thank you...it was one of my "non-failures".